Hey there bride to be! Finally got engaged? Customize a cute tee letting everyone know he FINALLY put a blinging ring on it! 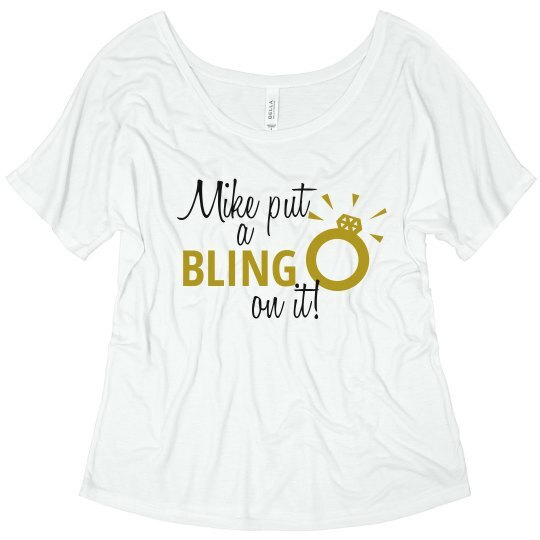 Custom Text: BLING | Mike put | a | on it!